1. 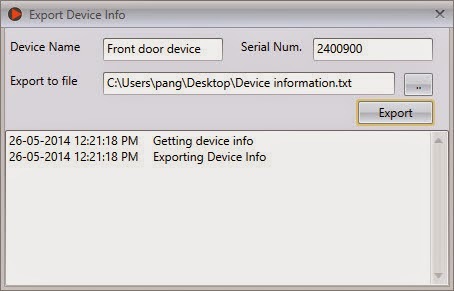 Export information of device into text file. The details of a device is now extractable and be exported for other usage. For example, you can now export the name, date of manufacturing, firmware version, storage details and more into a simple text file. The information that is extracted is important for the FingerTec technical team to know your device better during troubleshooting. This version allows you to insert the details of your SMTP email server. Ingress can now send selected reports via emails to specific recipients. Furthermore, you can even schedule the software to deliver specific reports. 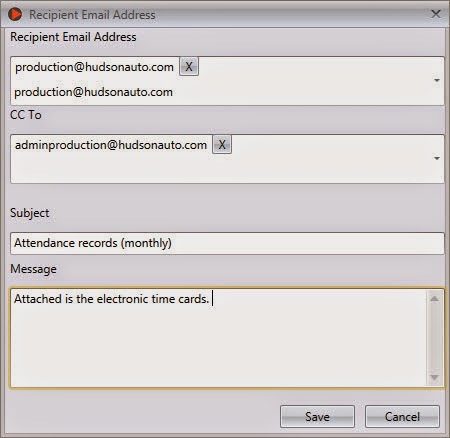 For example, you can set the SMTP email server to automatically send electronic time cards to all production staff on the 1st of every month. 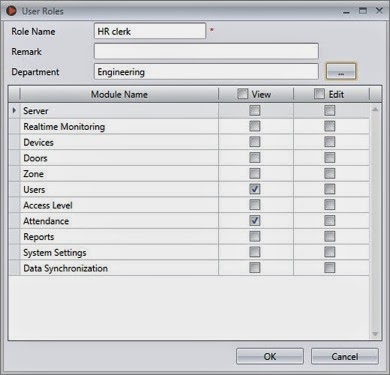 This version allows administrator to limit the access of secondary administrators to selected departments. Production clerk can only view the attendance of employees who fall under the same department but is restricted from viewing the staff attendance from a different department. 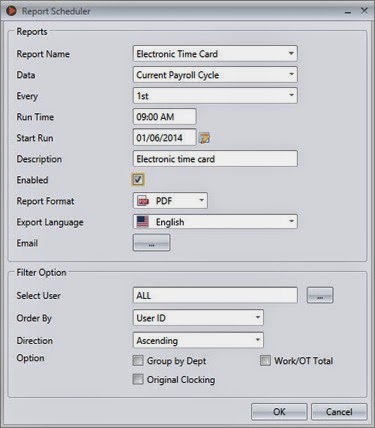 Group duty roster provides an option of overtime calculation. You can configure software to only grant overtime to the employees if they work more than a certain amount of hours during a week/month. The new version provides additional calculation to handle different overtime periods. The latest version is now ready to be used. For recent models of FingerTec devices, it comes with a new core board, the FMM100, for your usage. You can now set the user ID in alphanumeric format. For example, ENG30389.